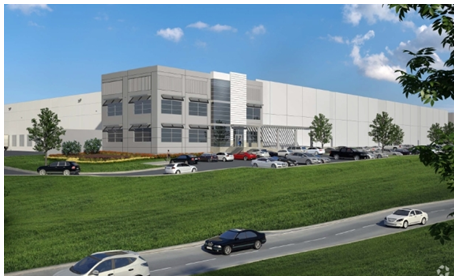 ​​​DALLAS - The new Niagara Bottling​ facility located at 1 Mountain Creek Parkway was in response to increased demand for bulk warehouse space in South Dallas. The area is home to many distribution and warehouse development projects because of its central location and the strength of the logistics capabilities in transporting goods across the country. As part of that proximity factor, Niagara Bottling took advantage of the key distribution location and the fact that two large beverage plants are already located in the South Dallas market. The bottling company recently leased a large industrial space there, totaling 630,000 sf. The cross-dock 32-foot clear warehouse is located on 87 acres of land north of Mountain Creek Business Park off of I-20. Niagara Bottling will use the facility to distribute its water and flavored drinks to the contiguous 48 states. ​​Check out Dallas Market Research for industrial stats! We are working to help you out.